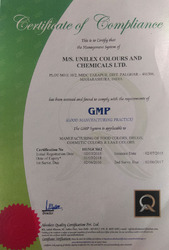 Unilex Colours And Chemicals Ltd. was established in 2001 and is leading Manufacturer, Exporter and Trader of Water Soluble Synthetic Food Colours, Natural Food Colour, Pigment Paste, Petroleum Jelly and many more. We offer the most superior products at very competitive prices, ensuring value for money. Manufactured using high grade and non toxic material; our products has set benchmarks in the domains of purity, taste and hygiene. 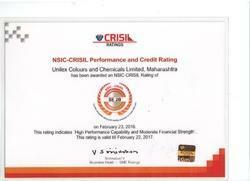 Our products are well tested by experts for their quality according to International norms. Besides, our ability to fulfill their customized packing requirements and our customer friendly business approaches had make us preferable choice. In order to have trouble-free execution of tasks, we have built a sound infrastructure set up. Its widely spreading area is sectioned into several wings such as processing, quality checking, storage and packaging to have efficient working. We are backed by adroit team of experts who holds rich experience and knowledge in respective domain. 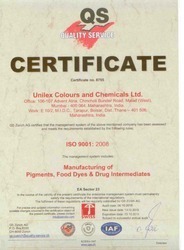 Our quality controlling team supervises all the stages of production and post production process so that best quality Organic Pigments & Food Colours. Further, we have maintained a spacious warehouse, which has several freezers and storage racks that support in safely storing offered products. We have been flourishing day by day under the guidance of Mr. Puneet Tyagi. He has rich knowledge and expertise in the industry that helps us to meet the demands of the clients with utmost satisfaction. Manufacturing, Trading, Importer and Exporter of White Mineral-Paraffin Oil, Phthalocyanine Pigments etc. We have a sound infrastructural base is fitted with ultra-modern machines and tools that helps us in the carrying out various activities with perfection. Our infrastructural base is segmented into varied sections such as cleaning, production, warehousing, quality testing, and packaging. We bring the sourced materials from reliable vendors to our premises and process them suitably to keep their effectiveness intact. Employing high end machines, we have been producing wide range of products smoothly as well as promptly. We change the production machines at regular intervals to enhance the quality of the products along with production capacity. Founded in 1981 by Mr. Purushottam Sharma, Unisynth Chemicals is one of the oldest group companies. Unisynth Chemicals has factories located in the western as well as northern part of India. 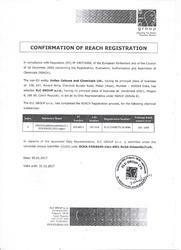 Unisynth enjoys the status of a Star Export House rewarded by the Directorate General of Foreign Trade, India for quality exports.